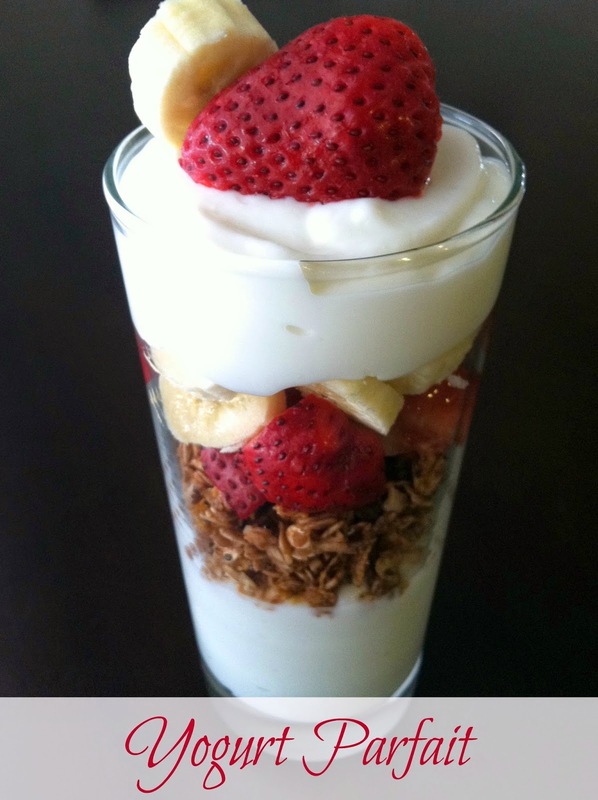 A parfait is always an easy breakfast or snack! I decided that when school starts I am going to make several cups ahead of time, and keep them in the fridge for a nice grab-and-go! Spoon half the yogurt into a cup. Add the blueberries, or other fruit. Cover the fruit with the remaining yogurt and top with the granola. If adding additional toppings, divide the yogurt and layer accordingly.